YES! Send Me The FREE Low-Back Stretch Guide!  By submitting this form I authorize Sandstone Health to send me marketing information. Whether you are hoping to find relief from low back or hoping to prevent injury in the future, download our 9 Low Back Stretches to Increase Mobility and Reduce Pain. Step-by-step, easy to follow instructions for nine effective and safe low back stretches. Simple guidelines for how each stretch should feel. A complete low back workout guide. Three bonus exercises that will help strengthen your core and prevent low back pain from coming back. Download our Low Back Stretch Guide and start your journey to better back health today. The information contained in this Site is for general guidance on matters of health interest only. While we have made every attempt to ensure that the information contained in this site has been obtained from reliable sources, Sandstone Health is not responsible for any errors or omissions, or for the results obtained from the use of this information. Click here to learn more.